Marriage and Family Therapist (LMFT) and Board Certified Behavior Analyst (BCBA). She specializes in working with children and adolescents diagnosed with behavioral and emotional difficulties. Hillary received her Bachelor of Arts Degree in Psychology from UCLA, and her Master’s Degree in Clinical Psychology from Pepperdine University. Throughout her experience, Hillary has worked with children and adolescents in various clinical and educational settings. As a student at UCLA, she worked at the Lovaas Institute for Early Intervention, providing ABA therapy to children diagnosed on the Autism Spectrum. More recently, Hillary was the Clinical Director of a local Non-Public Agency, where she continued to assist children diagnosed with Autism, ADHD, and emotional regulation difficulties. 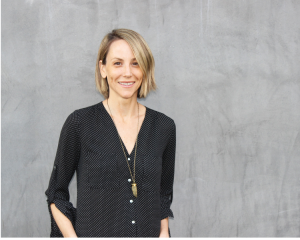 As a Marriage and Family Therapist, Hillary has extensive training and experience working with individuals affected by trauma, depression, and anxiety. Throughout her 20 years in the Mental Health field, Hillary’s approach has been to focus on an individual’s strengths while assisting her clients to develop additional coping skills, leading to a fuller and happier life.